Through his research, Dr. Chudik investigates and pioneers advanced and novel arthroscopic procedures, instruments and grafts that change patients’ lives because of better long-term outcomes, or outcomes that were never possible previously. His efforts continue to yield scores of patent applications and a patent that will positively affect orthopaedic surgical techniques worldwide. 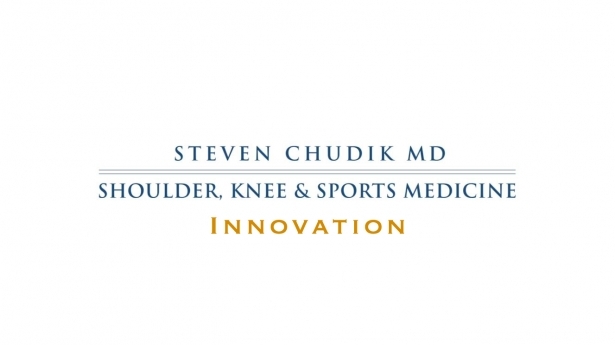 As a board certified orthopaedic surgeon and sports medicine physician fellowship trained in shoulders and sports medicine, Dr. Chudik believes it is important to do what is right and best for his patients so he continues to research and test stronger, less invasive and safer arthroscopic procedures for his patients. One of Dr. Chudik’s special procedures already makes it possible for youngsters with immature growth plates to return to activities following an ACL injury rather than sit on the sidelines or endure a deformity for life. The following are special procedures developed and used by Dr. Chudik to provide excellent surgical outcomes for his patients.